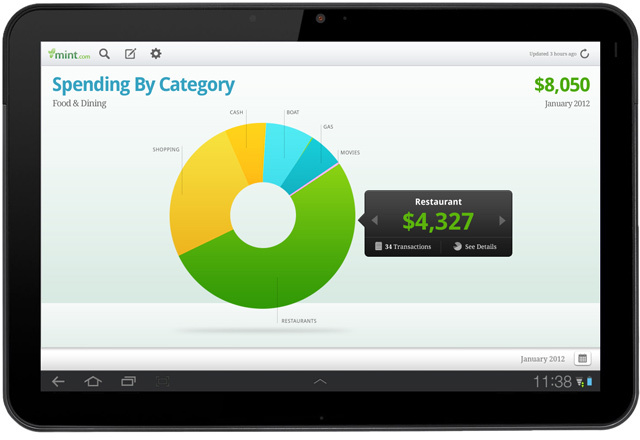 Your financial world needed some tablet action and Mint.com is here to give it to you. Released just moments ago to the Android Market, the new Mint app works all of the wonders of the phone version, but in a much bigger and more pronounced way. Your accounts are more easily organized, detailed graphs of spending are taps away, and tracking your wife’s shopping sprees never felt better. Or does that ever feel good? No matter what though, the folks at Mint are betting on Android gobbling up 40% of the tablet market share in the next few months, so they want to make sure their bases are covered. Why can’t we get more developers like this?